Both the House bill and the Senate measure calls for the elimination of most itemized deductions (that is Form 1040 Schedule A Itemized deductions). And in case they finalized the tax proposal this month, it won’t take effect until the 2018 tax year. 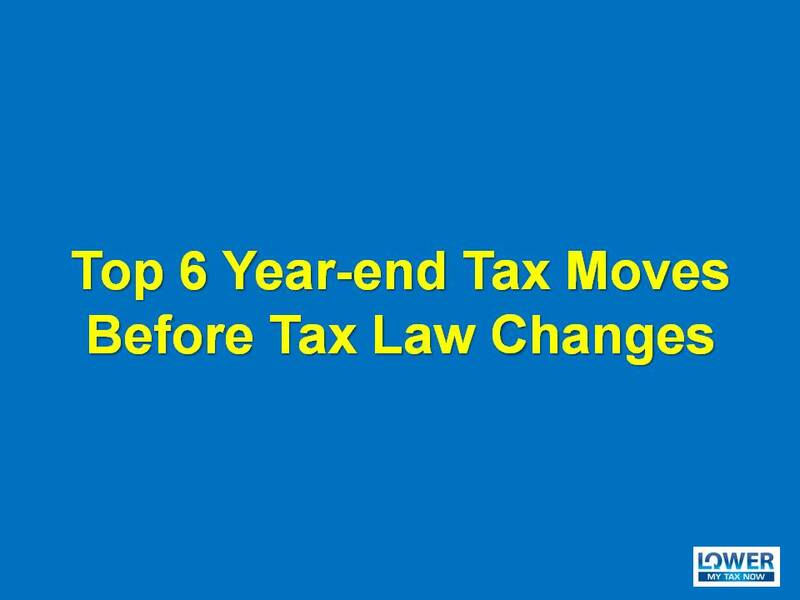 However, we still need to plan since it could affect some of your 2017 year-end tax moves. Pay your state taxes. If you live in a state that tax salary & wage income, you need to pay your state taxes as much as you can this year while they’re still deductible. A great way to do this is to make your final state estimated tax payments before the year-end. Pay your real estate taxes early. The House bill is allowing up to $10,000 of real estate tax If your property tax bill is higher than that, then pay it in December instead of early next year, to avoid losing some deductions. Prepay your January mortgage. The increased standard deduction amounts could make your mortgage interest deductions irrelevant. So by prepaying your January mortgage in December, it will increase your deductible mortgage interest for 2017. Bunch medical expenses. If you had a challenging year as far as your or family members’ health, this is the year to make sure you don’t waste any expenses. So, in addition to year-end doctor and dental visits, make sure you don’t overlook other possible medical deductions. And if you are scheduled for a major surgery next year, I would recommend doing it before year-end. Bunch miscellaneous expenses. If you are an employee, make sure you deduct all unreimbursed expenses that you incur while performing your job. Also, don’t forget to deduct such things as job search costs, investment related costs, safety deposit box, accountant fees or tax preparation software costs. Donate to your favorite charities. If your other itemized deductions are gone and the standard deduction amount is increased, you might not have enough in donations to file a Schedule A form. So consider increasing or doubling up your donations this year when you can still claim the deductions. So those are the six itemized deduction-related moves that you need to do now in order to maximize your deductions this year before the tax law changes.